Norwegian Cruise Lines put the amenities of a 5-star hotel out on the open ocean. With service and features unmatched anywhere in the world, Norwegian cruises can take you to premier destinations around the world without sacrificing service or style along the way. Focused entirely on your comfort, Norwegian cruises are focused primarily on service, offering almost one crew member per cabin, so you always receive personalized attention from the crew for your entire stay on board. While we strive to make every moment of your trip as comfortable and relaxing as possible, we know the joy of any great vacation is the journey and the destination. That's why Norwegian puts the world just off the port and starboard, so you are sure to see parts of the world you had only dreamed of. From three- or four-night Caribbean tours chock full of tropical beaches, exhilarating water sports and unique, bustling marketplaces, to seven-night Mediterranean cruises, discovering the ancient ruins and world-renowned food from around these coastal destinations, the world is your oyster when you travel with us. 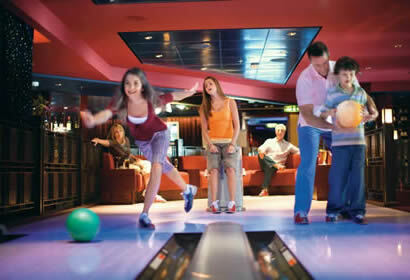 With all these wonderful features, you won't want your Norwegian Cruise to end. Only Norwegian Cruise Lines allow you the option of extending your vacation with post-cruise itineraries in port cities across the U.S. By adding exciting local destinations to your stay, you can ensure that you see everything you desire on your trip. To ensure you get the most for your money, Norwegian offers special cruise packages and partners with travel planners like Cruise Vacation Center to bring the best deals to priviledged customers across the globe. To take advantage of these offers, call the Cruise Vacation Center office at (800) 803-7245. Read more about NCL Freestyle Cruising.